Visiting Dolphin & Whale Watching and Caversham Wildlife Park will get you outdoors. 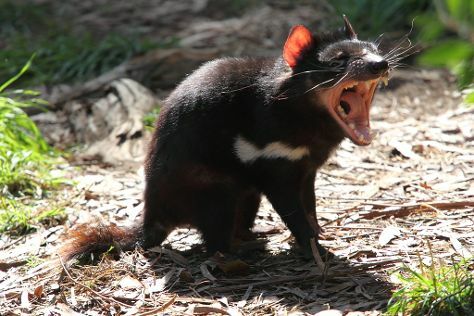 Explore the numerous day-trip ideas around Perth: Barna Mia Nocturnal Wildlife Experience (in Dryandra) and Zanthorrea Nursery (in Maida Vale). There's much more to do: take in nature's colorful creations at Kings Park & Botanic Garden, trek along Jacob's Ladder, and look for all kinds of wild species at Bold Park. 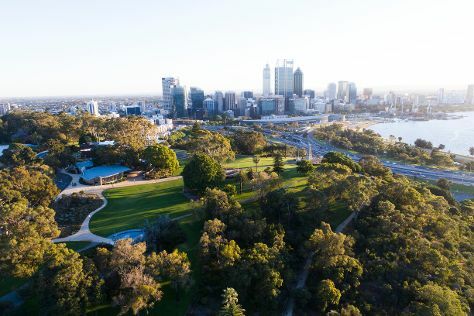 For photos, maps, traveler tips, and more tourist information, read our Perth day trip planner . Brussels, Belgium to Perth is an approximately 22-hour flight. You can also do a combination of train and flight. The time zone changes from Central European Time (CET) to Australian Western Standard Time (AWST), which is usually a 7 hour difference. Plan for much warmer temperatures traveling from Brussels in December, with highs in Perth at 35°C and lows at 17°C. Finish your sightseeing early on the 20th (Fri) to allow enough time to travel to Alice Springs. 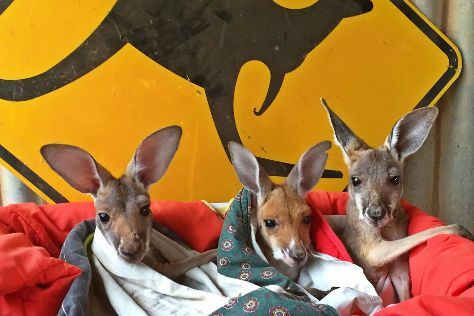 Take a break from the city and head to The Kangaroo Sanctuary and Alice Springs Reptile Centre. There's still lots to do: take in the local highlights with Walking tours, take in the dramatic natural features at Henbury Meteorites Conservation Reserve, look for all kinds of wild species at Alice Springs Desert Park, and explore the wealth of natural beauty at Emily Gap. To see where to stay, traveler tips, other places to visit, and more tourist information, refer to the Alice Springs trip builder website . Fly from Perth to Alice Springs in 5 hours. Alternatively, you can drive; or take a train. Due to the time zone difference, you'll lose 1 hour traveling from Perth to Alice Springs. In December, Alice Springs is somewhat warmer than Perth - with highs of 41°C and lows of 24°C. Cap off your sightseeing on the 23rd (Mon) early enough to travel to Adelaide. Visiting Cleland Wildlife Park and Softfoot will get you outdoors. Venture out of the city with trips to The Cedars (in Hahndorf), Port Noarlunga (Onkaparinga River National Park & Port Noarlunga Reef) and Gorge Wildlife Park (in Cudlee Creek). There's lots more to do: look for all kinds of wild species at Hallett Cove Conservation Park, learn about all things military at Army Museum of South Australia, let little ones run wild at Oaklands Wetland, and buy something for everyone on your list at The Parade Norwood. For more things to do, reviews, where to stay, and other tourist information, read Adelaide itinerary builder site . Traveling by flight from Alice Springs to Adelaide takes 4.5 hours. Alternatively, you can drive; or take a bus. In December, Adelaide is slightly colder than Alice Springs - with highs of 30°C and lows of 17°C. Cap off your sightseeing on the 27th (Fri) early enough to travel to Sydney. You'll enjoy a bit of beach vacationing at Bondi Beach and Clovelly Beach. Visiting Scuba & Snorkeling and Canyoning & Rappelling Tours will get you outdoors. Change things up with a short trip to Wentworth Falls in Katoomba (about 1h 30 min away). Next up on the itinerary: kick back and relax at Manly Beach, identify plant and animal life at Muogamarra Nature Reserve, admire the natural beauty at Royal Botanic Garden Sydney, and see majestic marine mammals with a dolphin and whale watching tour. For photos, where to stay, other places to visit, and other tourist information, you can read our Sydney vacation planner . Traveling by flight from Adelaide to Sydney takes 4.5 hours. Alternatively, you can drive; or take a bus. Plan for a bit warmer nights when traveling from Adelaide in December since evenings lows in Sydney dip to 21°C. Finish your sightseeing early on the 2nd (Thu) so you can travel back home.